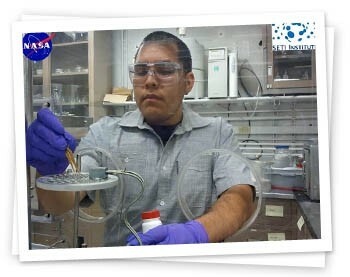 In the summer of 2012, I received the privilege to conduct research through the CAMPARE program with the SETI Institute at NASA Ames Research Center: Astrobiology Institute (NAI). At the center of each galaxy is a massive matter-munching black hole. As the galaxy spins around, getting sucked into the singularity, it picks up speed and energy, forming an accretion disk. 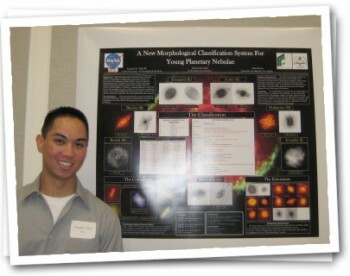 This summer, I had the opportunity to work with the NEOWISE team led by my mentor Dr. Amy Mainzer and co-mentor Dr. Joseph Masiero of JPL. 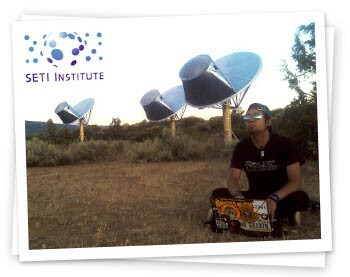 In the Summer of 2012 I had the privilege to work at the SETI Institute under the mentorship of Dr. Gerry Harp, a trained quantum mechanic and the new director of the Center for SETI Research. 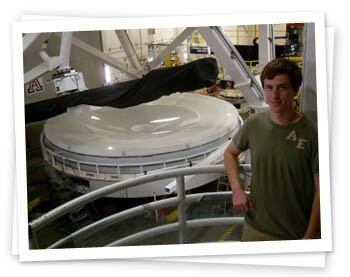 For the better part of the summer of 2012, I had the opportunity to work at the University of Arizona's Astronomy department under the guidance of Dr. Josh Eisner. 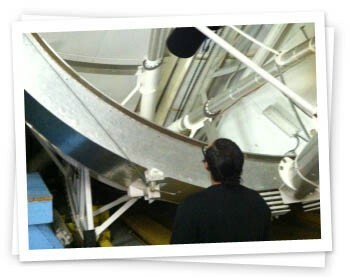 Even though I am not a physics major, I have always been strongly interested in astronomy, so being able to work at Steward Observatory was truly amazing. 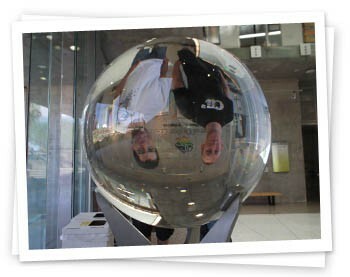 This summer I had the opportunity of traveling to Tucson, Arizona as part of the CAMPARE program. 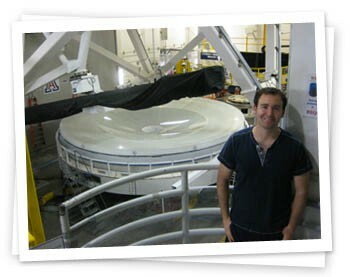 I was very fortunate to have worked with Dr. Nathan Smith of the Steward observatory. 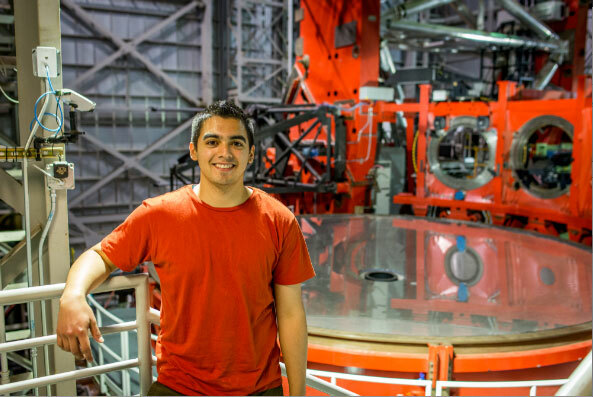 During the summer of 2012, I had the wonderful experience of working as a research assistant at the Steward Observatory at the University of Arizona. 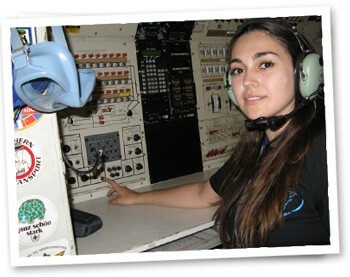 Gabriela is working on a physics major and math minor at California State University, Fullerton. Her true passion lies in astronomy and she hopes to, one day, become a professor of physics or astronomy to share her passion. 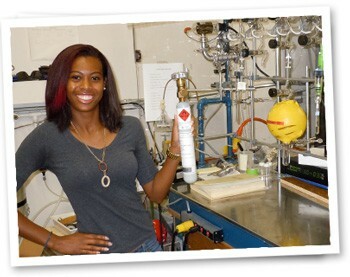 In the summer of 2012, she participated in a two-part summer REU in Arizona. As a physics major interested in stellar astrophysics, I find it very appropriate that I spent my summer in Tucson, a city whose temperature rivals that of the Sun's. 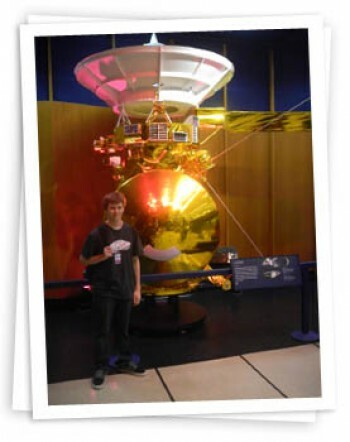 Over summer 2012 I was given the opportunity of working at the Jet Propulsion Laboratory (JPL) in Pasadena. 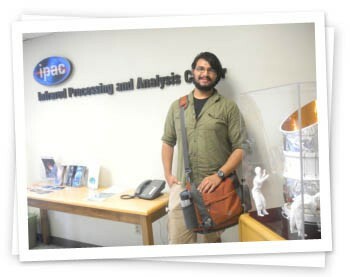 I was incredibly excited to learn that I would be getting a chance to intern there. 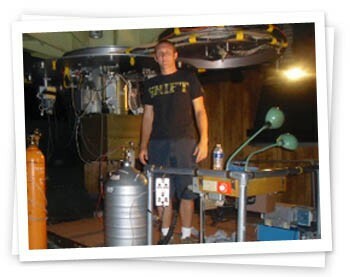 Over the summer of 2011 I had the extremely fortunate opportunity to work with Dr. Josh Eisner of the Steward Observatory at the University of Arizona. 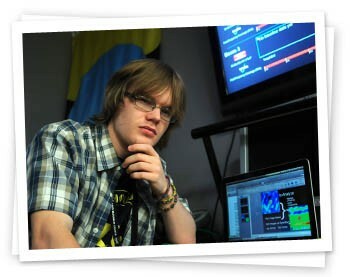 This summer was an amazing experience for me. I had the opportunity to work Dr. John Bieging and Dr. Yancy Shirley, who were very kind and incredibly helpful to me in their advising on this project. 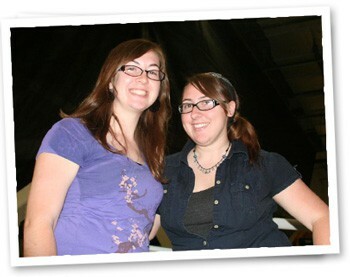 The summer of 2010 is one i will never forget. I had the opportunity to work with the most amazing mentor, Dr. Rachel Mastrapa, along with 18 of the finest REU students. 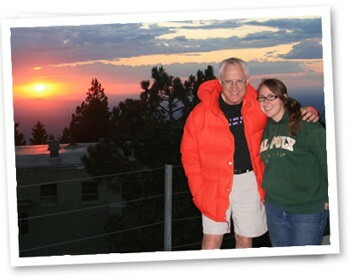 This summer, I had the opportunity to work with Dr. Don McCarthy of the University of Arizona, where I basically spent a month up on Mt. 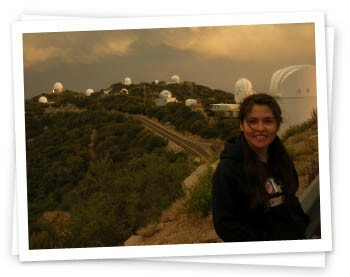 Lemmon, Kitt Peak, Mt. Graham, and more. 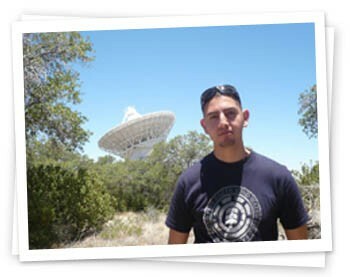 In the spring of 2010, I received an opportunity to conduct research through a summer internship at the SETI Institute. 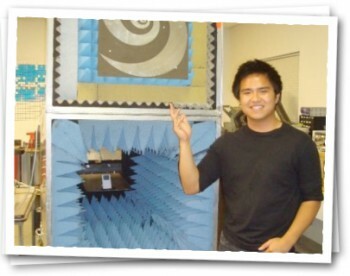 As an aerospace engineering student, I entered the research program with a feeling of intimidation due to the often conflicting nature between engineers and scientists. 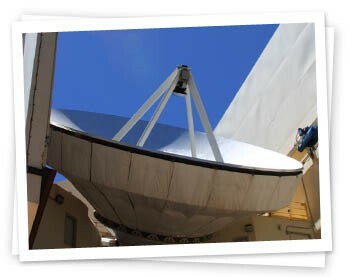 The blistering summer sun shines from its perch in the painfully blue and utterly cloudless sky. As I walk, I can see the ripples of heat radiating up from the ground ahead of me. 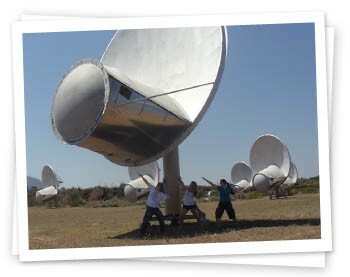 Research at the Allen Telescope Array last summer didn't quite meet my expectations as a mechanical engineering student. I'd always presumed engineering research to embody the classic "engineering" setting: noisy machines and a dust-grease atmosphere blurring scores of buttons and monitors.